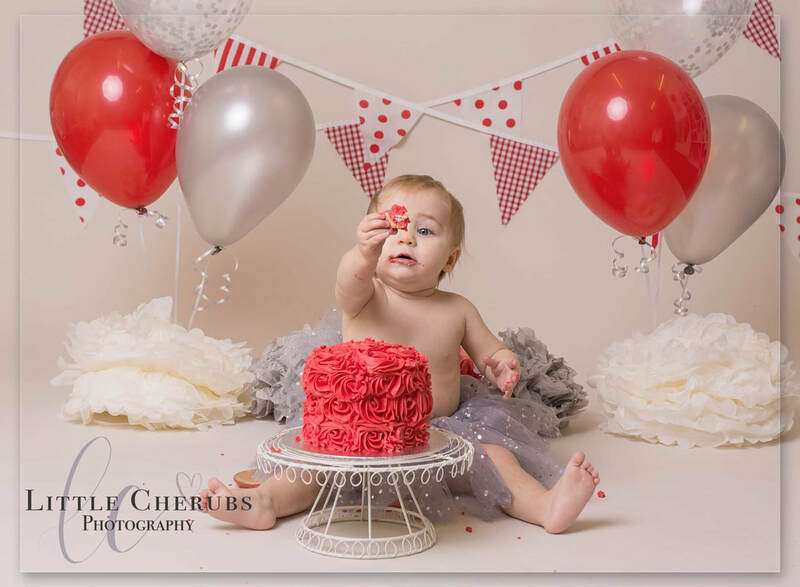 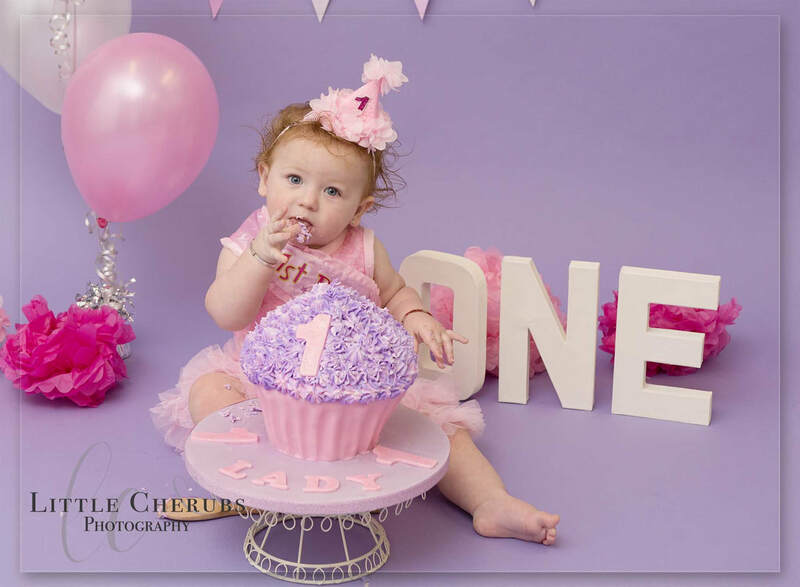 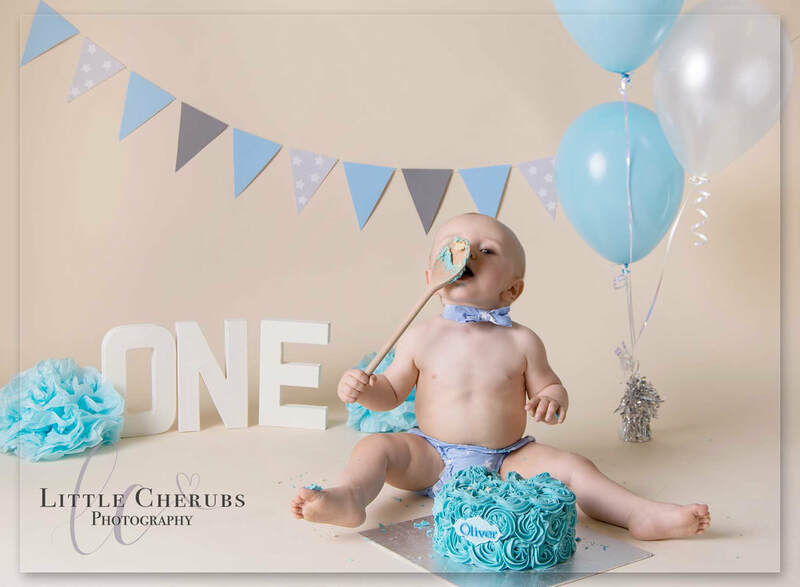 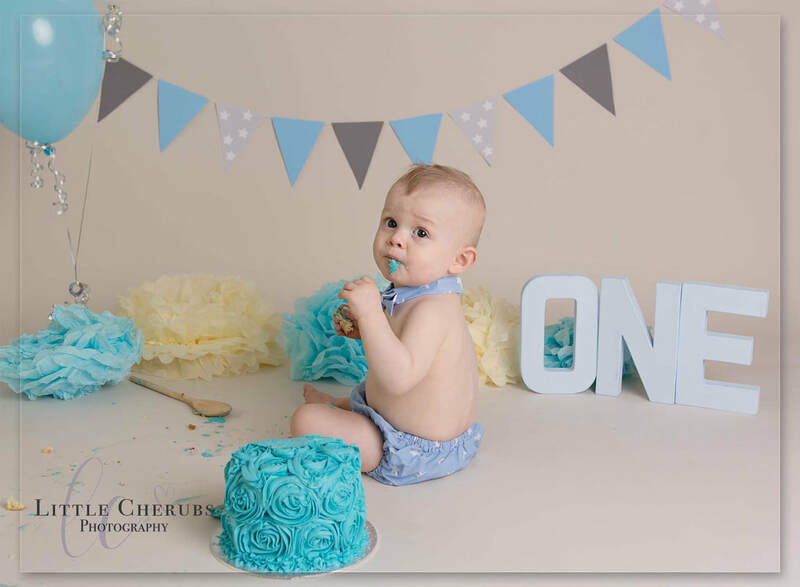 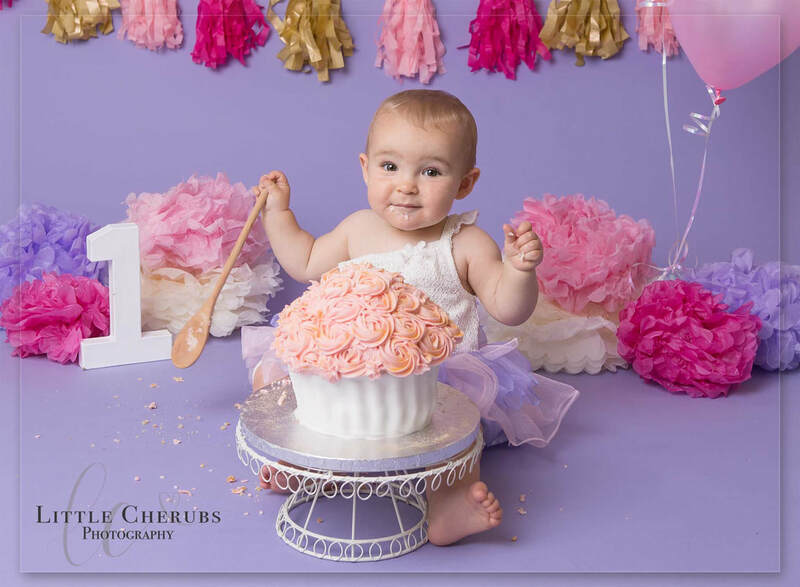 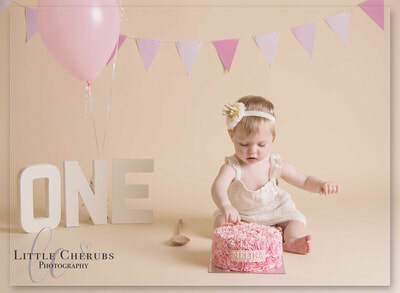 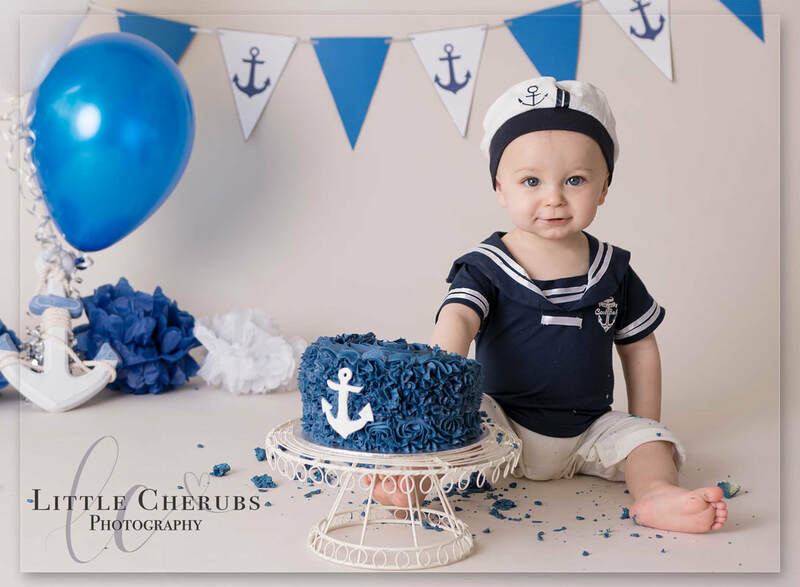 Cake Smash photo shoots are a fun way to celebrate your baby's first birthday! 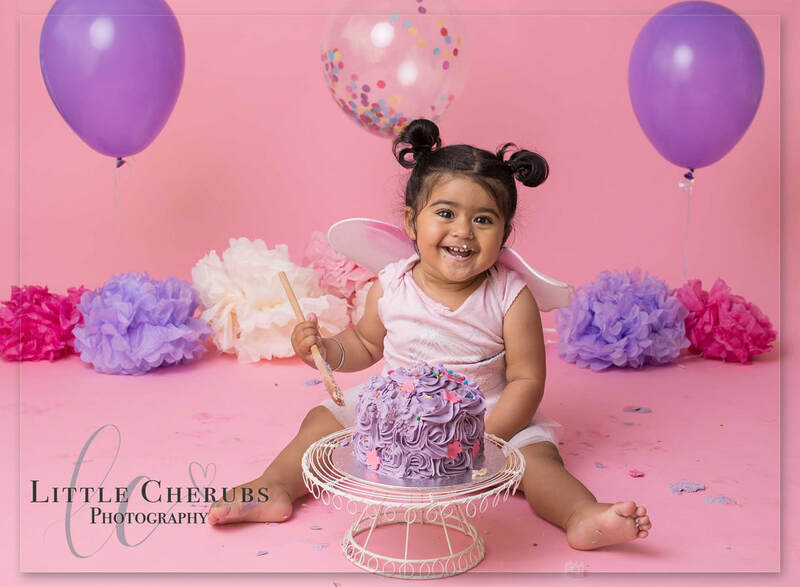 Our Cake Smash is a fun filled session, where we will get some super cute photos of your little one having fun destroying their birthday cake. 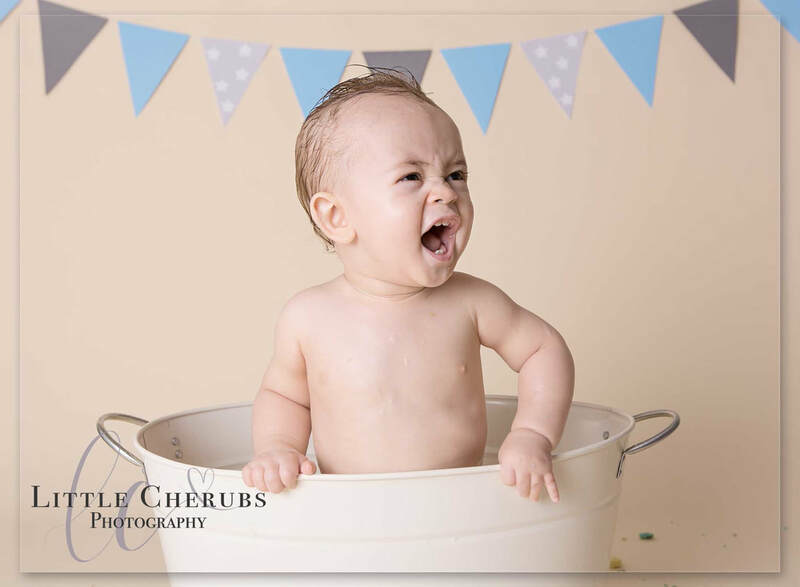 This is followed by a splash tub session, where we wash the cake off them in a bubble bath and having a blast getting water everywhere! 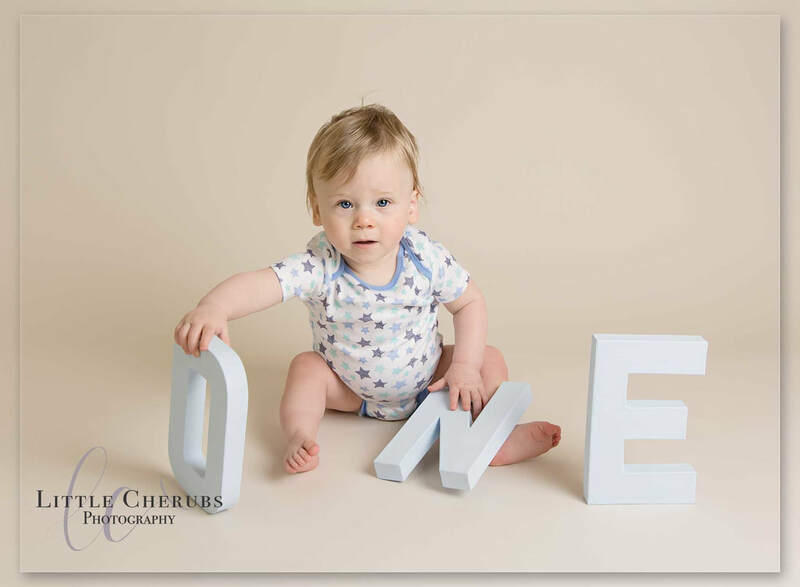 As a part of the session, I start with some lovely photos of baby on their own (before they get messy!) 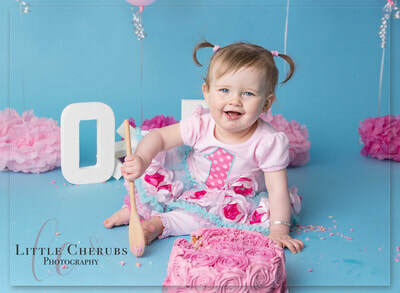 and you can also have a family portrait taken in this time too. 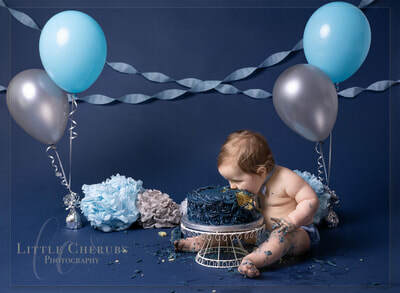 Believe it or not, not all babies like the sweetness of the cake (I know, who doesn't like cake?! ), so I do recommend bringing their favourite snack for us to hide behind the cake just in case! 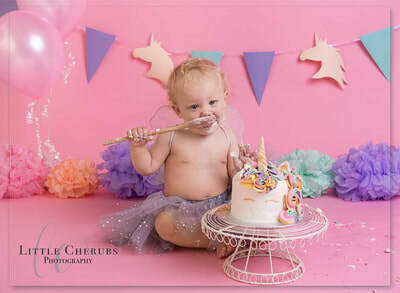 I provide wooden spoons, towels and rubber ducks to use during the session, along with a variety of outfits and props - although you are welcome to use your own - all you need to bring is baby in their best outfit, a washable toy to encourage smiles and their preferred drink (it's thirsty work being star of the show!). 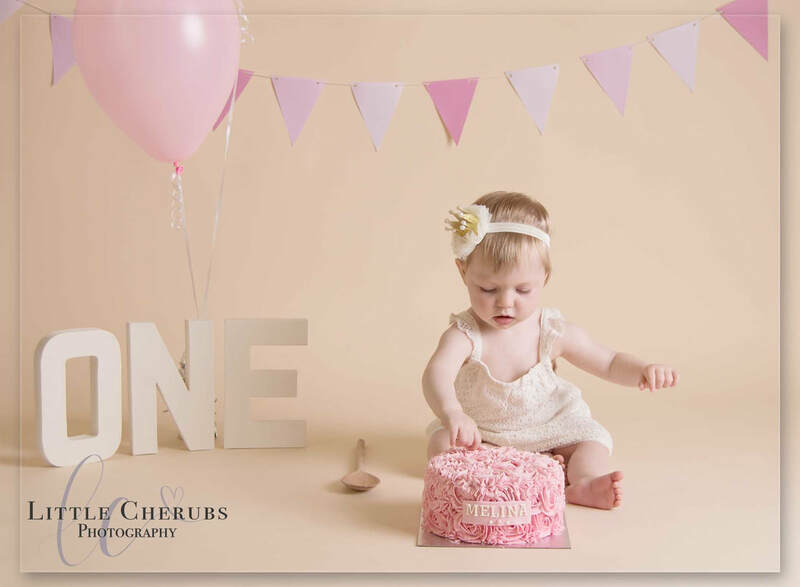 There is no session fee for photo shoots at Little Cherubs Photography - simply secure your session and cake order with a £99 booking fee (which will be deducted from your chosen package at your viewing and ordering appointment). 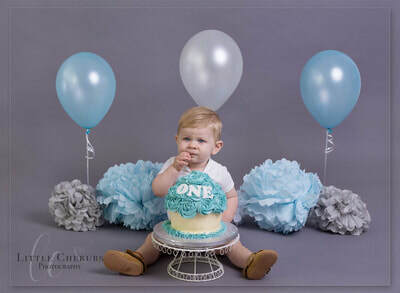 This is non refundable if you cancel or fail to attend your session, however, if in the unlikely event you choose not to purchase any images from your gallery, the shoot will not cost you anything. 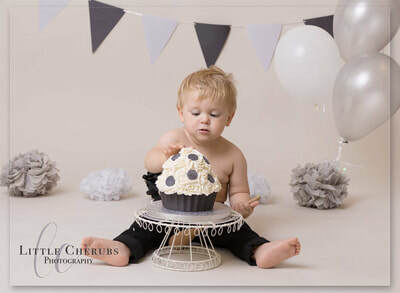 ​Scroll down to the bottom of the page for the cake smash photo shoot price list.